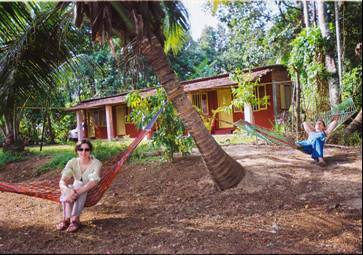 Our Homestay is situated on the bank of river Meenachil(back water)which is described in the bucker prize winner book "God of small Things". All the guest rooms are in a seperate building adjacent to my house where we live. All rooms are free from mosquitos and attached with bath and toilets(European standard). Every room has it`s own entrance with varandah and garden in front with hamocks and swings. 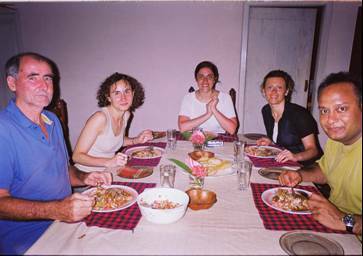 We provide veg and non veg home made food and special food for vegans , home stay is sourrouned with water, rice fieds, coconut groves and the garden of medicinal plants, spices and different varieties of trees. 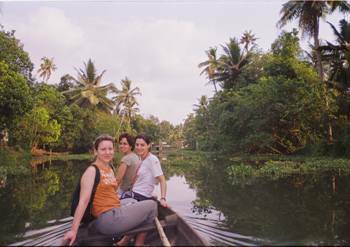 We provide the activities such as canoeing, boating, house boat stay, Bird watching, sightseeing, plantation, spicegarden, snake boat and farm visit, village tour , body massage etc. according to the intrest of our guests. propery is situated on the bank of back water, It is just 4 kms away from the lake and bird sanctuary, it is in the middle of 4 acre of land with natural garden with medicinal and spicy plants and trees. there are lots of turtles in the pond in front. All rooms are 180 sq. feet and attached with bath and toilets. Every room has it`s own entrance and varandah with planter`s chair(easy chair) and teapoy and mats for sun bath and calling bell. The garden in front is with hamocks and swings. All rooms are furnished with a double coat with mattress, armed chair, teapoy, writing desk, Long mirror, cup board with cloth hanger, chair, luggage rack, fan, electrick socket and enough lighting arrangements, dustbin , flower pot for fresh flower. The bath rooms are with european closet, shower, and running water, but not hot water*, we will provide some arrangements to make water hot at the room itself. bucket, mug, soap dish, towel and cloth hanger, toilet roll holder(napin), dustbin, wiper, wc brush, mirror, wash basin, exaust fan and lights. electric socket and floored with ceramic tiles. Cable TV, phone, internet and library are common for all in our dining room faced to the back water . We have two rooms with Air conditioners in it. and have power back up too. 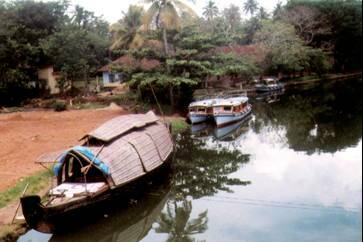 It is situated in Kottayam district and in Aymanam Village and the name of the local area is Valliadu( via) near Kumarakom Pulikkuttyssery, Puthenthodu. Elephant training centre 100 kms. Multi cousine,veg,non veg and for vegans too. 8% of the total amount to be paid to Instant world booking for the confirmation of the booking and the 50 % of the rest to be paid in advance, .No refund will be entertained due to the cancellation or non shows .if there is any cancellation please let us know in advance for to take another booking..
(via)Pulikkuttyssery, puthenthodu , Valliadu S. N. D. P and cross the bridge in right and proceed to left and ask for the above mentioned address. 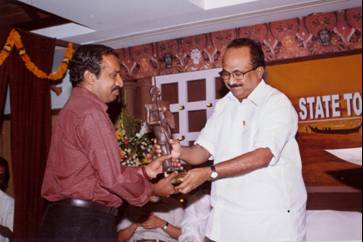 2)If you inform us about your arrival we will receive you from the Air port, bus or railway stations or from Kottayam even if you come by taxi.